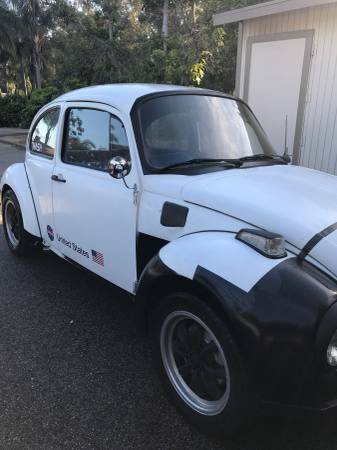 Home ♦ Build ♦ For Sale: Super Space Beetle! 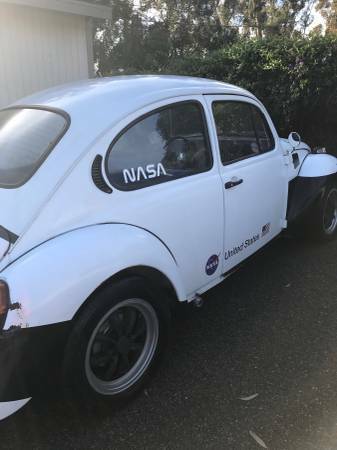 For Sale: Super Space Beetle! No words can really describe this. 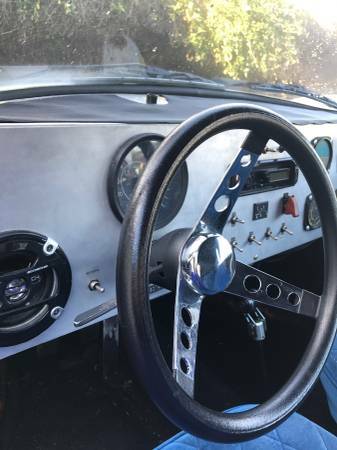 The dash is amazing but why? Here is the original ad in all of its weirdness. 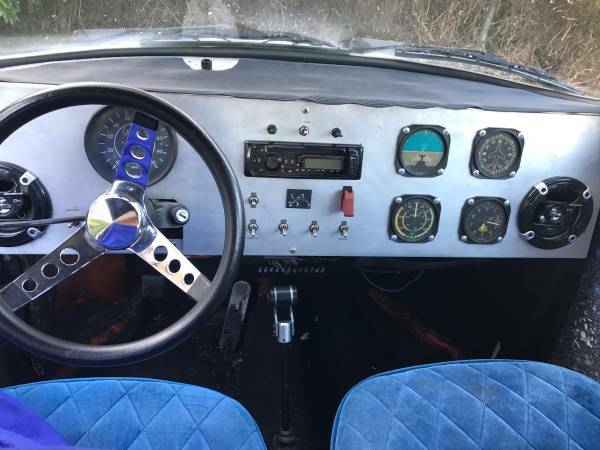 “A product of the failures of vinyl dashboards. I started with overhauling the ugly warped face and decided to simplify the shape and from there spawned an aircraft-like design. 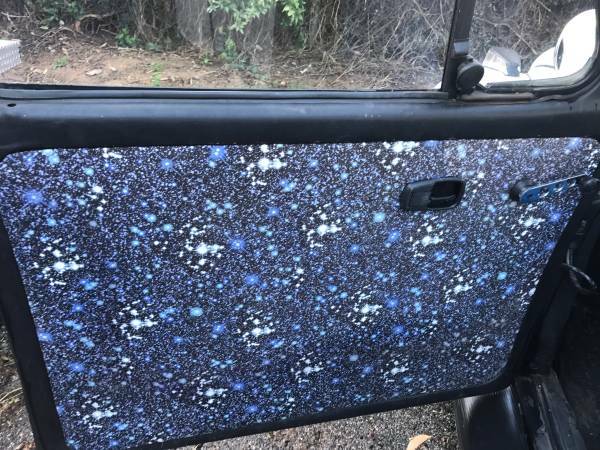 This included a matte white and black paint scheme, decals, an authentic take on the actual seats in an american space shuttle, custom fabricated front and rear bumpers and the star pattern interior panels. Not only is this fun but functional ; i have redone everything including the forward suspension, motor, transaxles, rusted pan replacement, body work, locks, and installed a stereo with 4 custom mounted speakers. 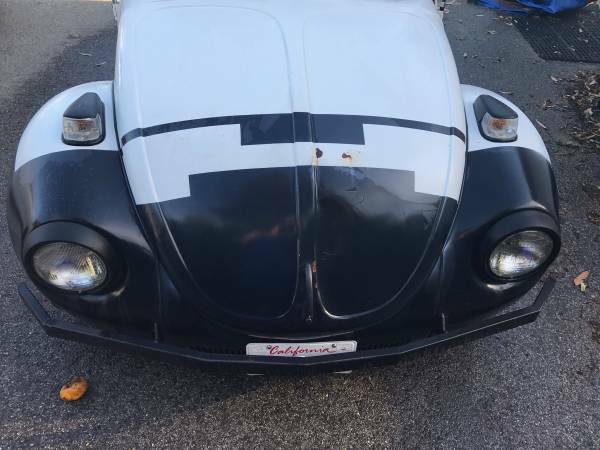 The 4 wheel fairings are beat up along with the hood having a push in from someone sitting on it. The main body is smooth and ready to accept whatever color you desire.